My campers love dogs. 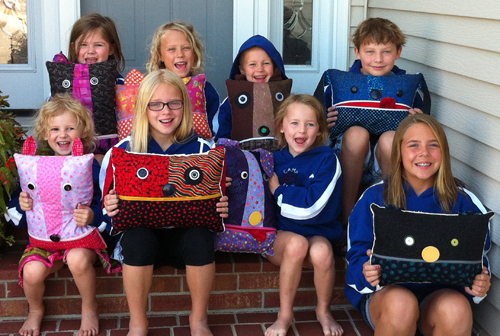 What could be better than their own dog pillows, made to sleep with and to hold their pj’s? 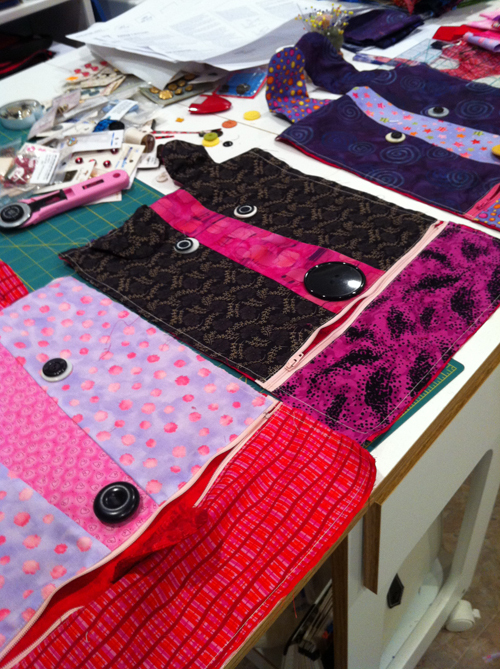 I used bright, leftover quilt fabrics in all different colors, old buttons and my collection of colored zippers. It’s quick and easy to make these if you buy the ready-made travel pillows. I put Minkee fabric on the back for comfort. Each camper picked their favorite dog and named them. They were their constant companions for the camp-out. 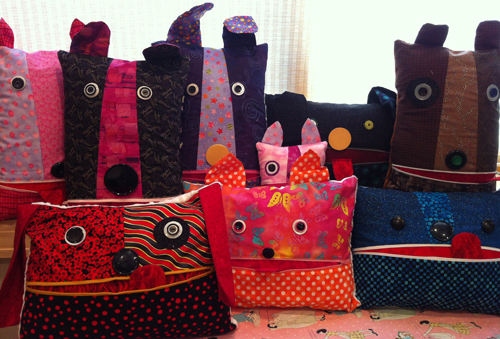 These dogs were adapted from an Indigo Junction pattern called Zipper Critters. It’s a good idea to reinforce the button eyes with fabric behind them so they don’t need eye surgery. 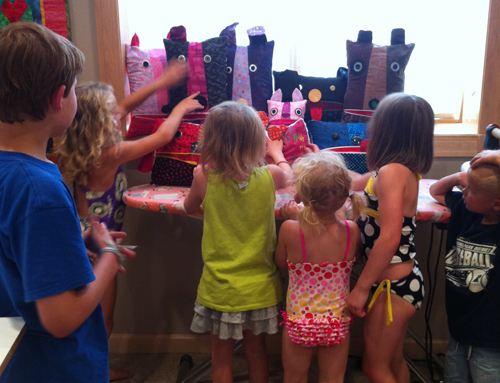 If you make a critter for a little one, appliqué the eyes instead of using buttons so they don’t get eaten off the dog. They go together in a snap when you make them assembly-line style. Presser feet used to create these puppy pals were the appliqué foot (Open Embroidery Foot #20), the piecing foot (Patchwork Foot #37), the zipper foot (Zipper Foot #4), and the all-purpose foot in conjunction with BERNINA Dual Feed (Reverse Pattern Foot #1D). You could use a walking foot in place of dual feed. 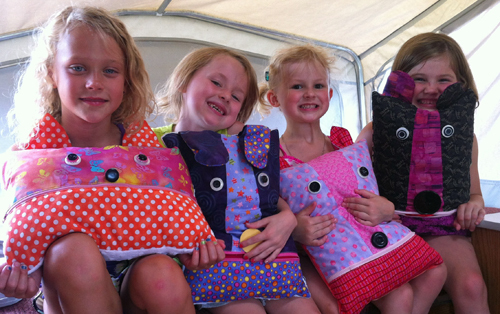 Make your favorite camper their very own dog. They will love you for it! Next Next post: Alt Design Summit SLC 2013 – It Was Rad!